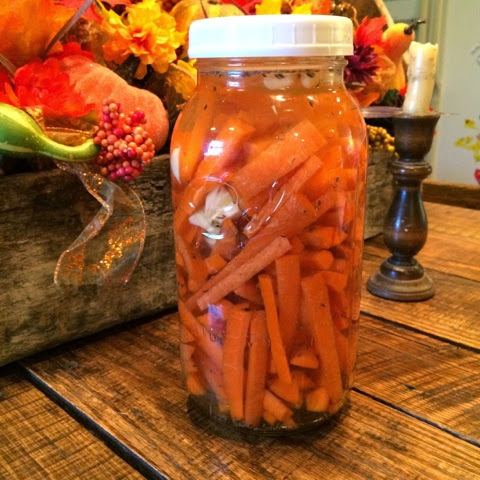 My precious friend Lindsey makes "Dilly Carrots" We have had them before and they are great. They are a yummy snack and so good for you! Here's how she makes them. 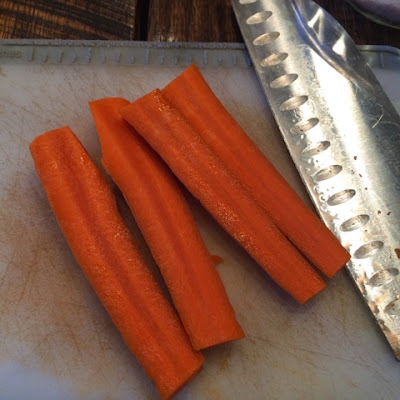 Cut the tips and the ends off the carrots and then cut the carrots in half. Once cut in half, cut them into sticks. Depending on the size of your carrots, it could be one or two cuts per half. Don't make them so tiny they won't hold up during the fermenting process. Begin to fill your jar with your carrot sticks. 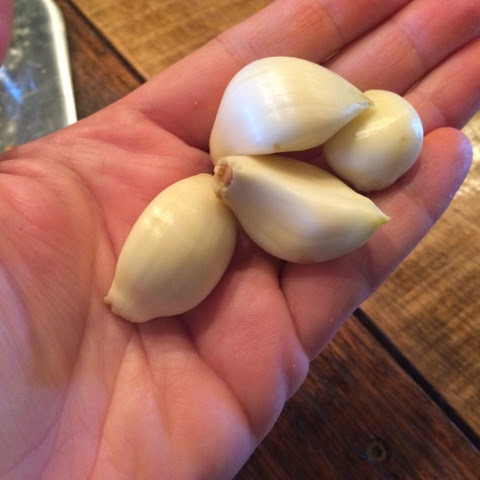 For a half-gallon jar, I used four large garlic cloves. I quartered them and tossed them in about midways through. 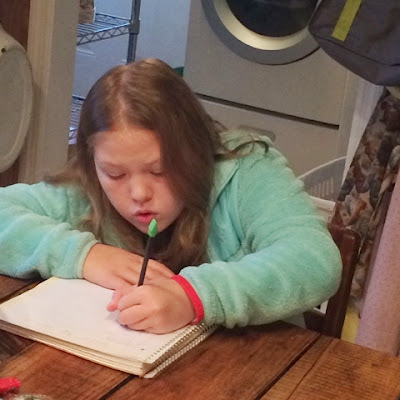 And if your kids are home like mine, you might be giving a spelling quiz right in the middle of your project. 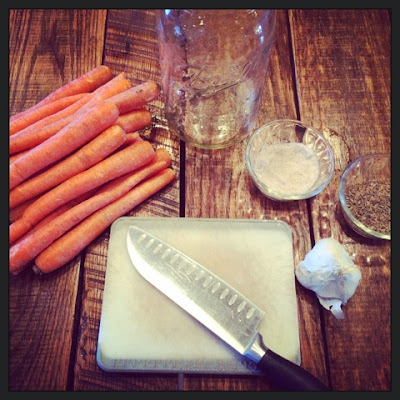 Now take a Tablespoon Salt. I use Real Salt. It's my favorite. 1 Tablespoon of Dill Seed! This is important. 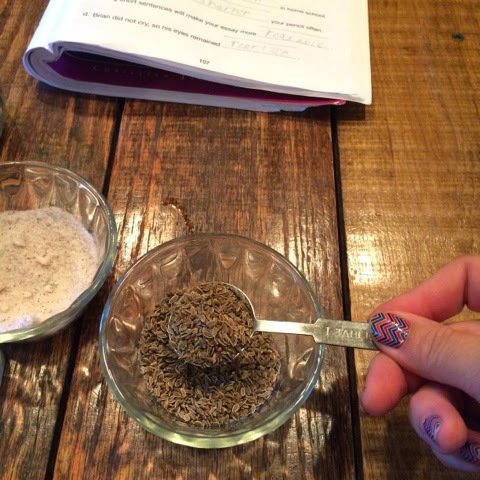 We have made these with dried dill, and we didn't care for them... but dill seed seems to make a huge difference. 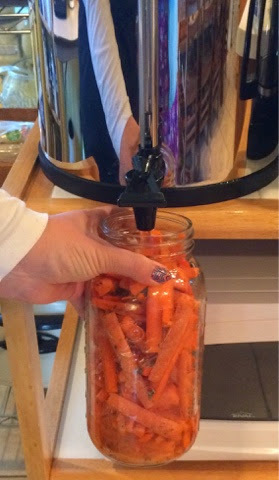 Once everything is in your jar, fill your jar with filtered water. We use a Berkey... But if you don't have a water filter, you could use spring water. Allow your dilly carrots to set for 3-5 days out to ferment and then you can put them in the fridge and begin snacking. 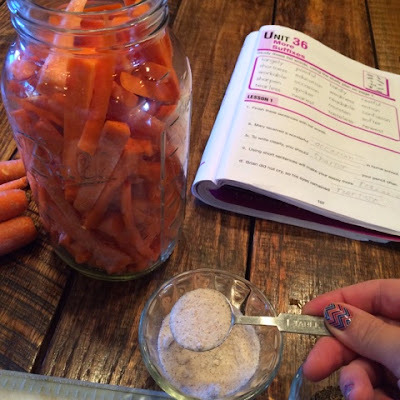 They are a yummy snack and a super way to add a few more fermented goodies to your everyday diet. I've made these numerous times and love them. So yummie. hmmmm, looks like this is do-able....even by me. 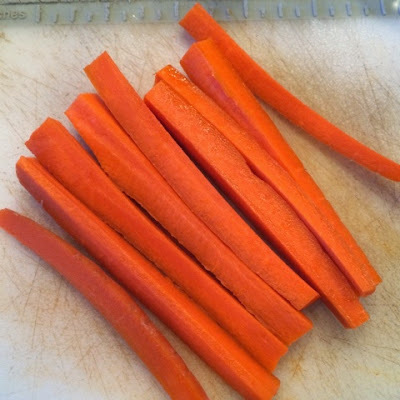 I can tell you this, REAL carrots are yummy, those little peeled and formed mini carrots are horrible.